The all new PENN? Surfblaster II reel features a strong but lightweight graphite frame with graphite side-plates, a forged and machined Long-stroke aluminium spool with line capacity rings, 5+1 stainless steel shielded ball-bearings for smoothness under heavy retrieve pressure, a powerful but smooth HT-100 carbon fibre drag system, rotor brake, and a manual bale-arm. Built in slow oscillation gives incredible line-lay over the spool for ultra long-range casting performance with both braid and mono lines, plus the reel offers two line clips, and is saltwater resistant to minimise long term corrosion. Ideal for all surf-casting situations over clean and mixed rough ground. Ever since Otto Henze founded the PENN Fishing Tackle Company in 1932 we have been at the forefront of modern reel design and production. We pride ourselves on the fact that millions of experienced anglers around the world put their faith in using PENN products every day. It is the skill, knowledge and passion gained over the 75 plus years of designing and manufacturing fishing gear that have enabled us to continue the dream of our founder: Manufacturing the world's highest quality fishing tackle. Our reels have set records in nearly every IGFA classification. 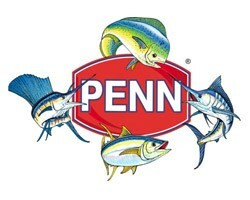 No matter where you fish, or what you fish for, look to PENN to perform flawlessly now and in the future. We are proud of our rich and storied history.